Our friendly weekly textile arts class is about experimenting and designing with textiles. 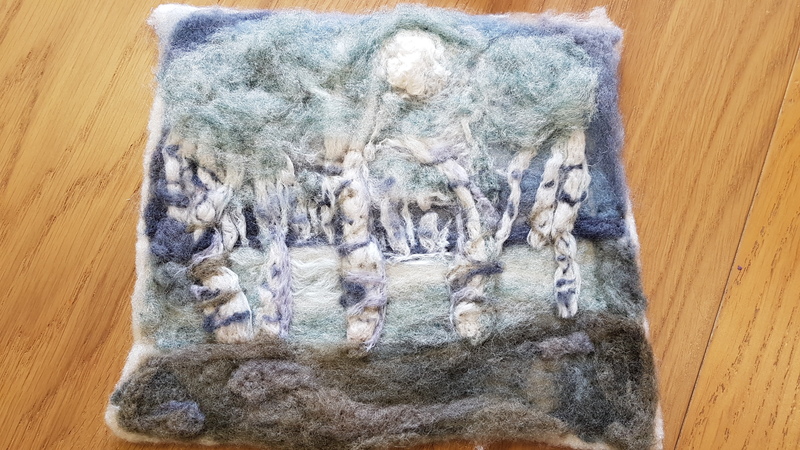 Working with different threads, fabrics, dyes, materials and techniques, Debbie will support you to build up an understanding of how you can interpret textures, surfaces and ideas into works of art creatively and confidently. The groups are small so that there is more time to tutor individuals and adapt to their needs. Projects suit all abilities stretching the more advanced student and nurturing the beginner. There’s lots of discussion debate and change. Materials required: Some materials are provided but students are welcome to bring their own materials or projects to work on. Additional materials will also be available to purchase. Fee: £10 (members/£12 non-members) per session. Please select your ticket type and the number of tickets required (members of Open Studios may take advantage of a discounted price). We will then contact you to confirm your booking, provide booking information and arrange payment. Payment may be made by paypal (using a paypal account or a credit/debit card), or over the phone with a credit/debit card.